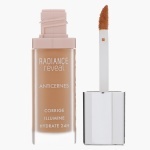 Bring out the radiance of your skin with this lovely concealer. With its wand applicator, it is easy to use for blending with finger over the skin. The formulation ensures 24-hr hydration making it an incredible addition to your beauty collection.